The National Institute for Health and Care Excellence (NICE) has issued draft guidance that recommends against the use of Millennium Pharmaceuticals' Entyvio on the NHS for patients with Crohn's disease. The healthcare guidance body cited uncertain evidence and the unlikely nature that the drug would represent good value for the NHS as reasons for its decision. The decision comes despite Millennium, a division of Japanes firm Takeda, agreeing to provide a discount for the list price of the drug via a patient access scheme. 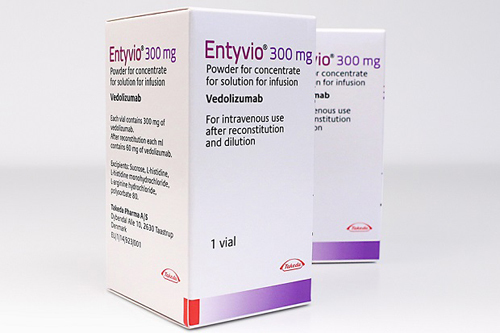 Entyvio is targeted for adults with moderately to severely active Crohn's disease whose disease has responded inadequately to, or has lost response to, conventional therapy or a tumour necrosis factor-alpha inhibitor. It is also appropriate for those who cannot tolerate either of these treatments. Of particular concern for NICE was the uncertainty that Entyvio worked as well as other currently available treatments. In May last year the European Commission approved Entyvio to treat adults with ulcerative colitis and Crohn's disease following the FDA's approval for the drug in the US. Entyvio marks a breakthrough in the treatment of Crohn's disease as existing treatments aim to stop the inflammatory process, relieve symptoms and avoid surgery, rather than tackle the underlying cause as Entyvio is intended.